*We will NEVER share, rent, or sell your information. You are here because you are part of a very special community of soul siblings willing to embrace the miracles in your life and pursue deeper authenticity, deeper connections and a deeper awareness. It is an honor to be on this journey with you! On this page is your opportunity to access a very special sound vibration gift I created just for you. 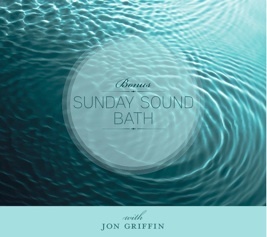 Sunday Sound Bath™ – sound vibrations for a happy heart is an high energy, easy to use sound healing audio. This audio will align your energy and help you to manifest what you want most in your life. Sound has the amazing ability to communicate in a way that transcends language and words to work on an energetic level. In this audio, I use a very special set of Chakra tuning forks tune and align your chakras while resonant crystal bowls, ambient sounds, binaural beats and micro-rhythms hold the space for you to resonate from your core. These frequencies balance and align your energy, stimulate brainwave activity and create greater health, wealth, abundance and harmony – to open your heart and bring you into greater resonance with the energetic flow of life. And all you have to do is listen and receive the sound vibration of this BEAUTIFUL and heartfelt music. Listen and move your frequency to the highest levels. Bathe in the bliss of this heart energy as you harmonize with the universe to become the perfect magnet for all you want each and every day. Simply fill in the form below and you will have instant access to download this this special gift. * We will NEVER share, rent, or sell your information.